Most hostels employ a mixture of permanent, long-term staff and temporary, short-term volunteers on a work-to-stay arrangement. These volunteers usually do a variety of work, ranging from reception duties and cleaning, to bartending and decorating. Often, you'll be required to work for just three or four hours a day so you still get plenty of time to explore. Just make sure you agree to the terms before you start. In exchange for your labor, you'll get a bed and often some food and drinks. Couchsurfing is an online network that enables generous hosts to offer their spare beds or couches to travelers looking for somewhere to bed down for the night. 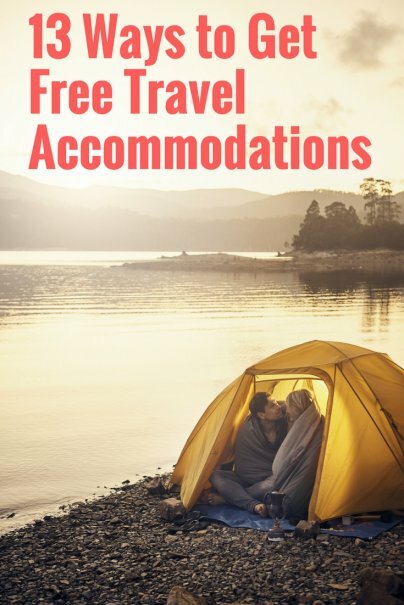 It's absolutely free, and hosts are usually extremely sociable people looking to meet new friends and introduce them to their local area, with many being travelers themselves. This is better for short stays of a few days or less. There are lots of countries where it's absolutely legal to wild camp on public land, meaning you can stay virtually anywhere you want for no cost. Clearly you need to have camping equipment such as a tent and sleeping bag, but once you've got them, the world is your oyster. Always ensure that camping is allowed in the location you select to pitch up, and leave the site as you found it when you arrived. Religious houses across the globe offer free stays to people wanting to learn and take part in their way of communal living. You don't have to have a great faith yourself, but you will be expected to abide by their rules, which in some cases can be quite strict. It's a great way to get a different perspective on an area, though, and opens you up to new experiences. Learning a new language can be costly, and finding someone to practice with can be difficult, depending on where you live. Language exchange trips such as those offered by lingoo allow people wanting to learn a new language the opportunity to live with a native speaker who wants to learn English. In exchange, you may be asked to host that person in your home, too. As a traveler, you'll get regular language speaking opportunities and the opportunity to completely immerse yourself in the culture by living with a local.